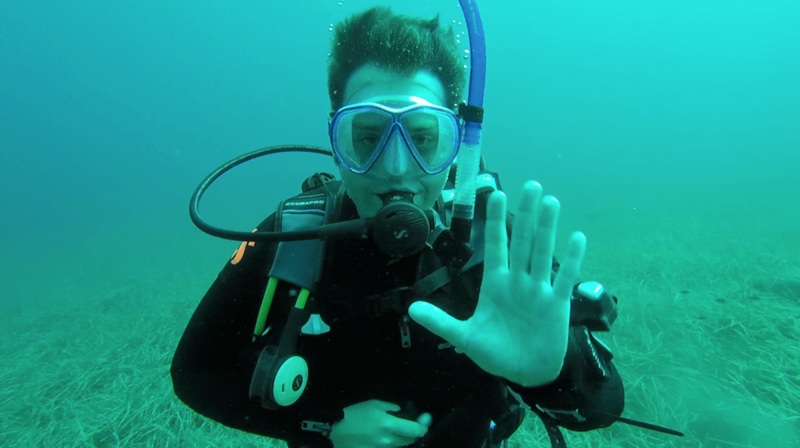 On our summer holiday to Greece, we were in a fortunate enough position to allow hubby to have a go at scuba diving – and he’s going to talk you through his experience. There was an on-resort diving school and it couldn’t have been simpler. They offered a trial dive in the pool between certain times that was advertised in reception, but if these were missed, then staff were more than happy to arrange a private taster session, depending on how busy the pool was. 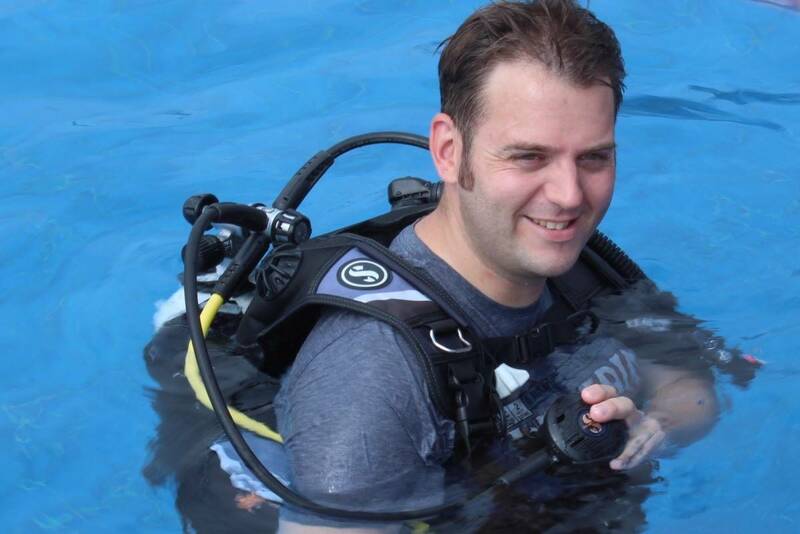 Scuba diving is something that I have always liked the idea of and after the trial session I was hooked, but with children to entertain and look out for, it didn’t seem possible. However, with Mark Warner’s mini club, there was a nice three and a half hour gap every morning to fill. I signed up to complete the Professional Association of Diving Instructors (PADI) Open Water diving course. The course consisted of some theory based lessons which included instructional videos, some knowledge check quizzes and a final theory exam. I was allowed to study these in my own time and was even given a USB stick with official PADI videos to watch that covered everything in the textbook. This allowed me to learn the basics in my own time, sitting by the pool in the afternoon and not in a sweltering hot classroom! The practical sessions were a mix of learning the necessary skills in the safety of the pool during two lessons (wearing all the equipment) intermixed with practicing them during actual open water dives from a boat. There was also a free dive at the end of the last tutored dive. There was a short walk from the resort to a small jetty that the diving school used for their speedboat that then took about 25 minutes to get to the dive site further along the coast. It was quite windy and therefore the boat ride was very choppy, but this made for an even more enjoyable ride! After going through the pre-dive safety checks with the instructor, we had to get into the water. I was eager to get in and chose the ‘big step’ method… Yes, it was as simple as stepping off of the boat and into the crystal clear Aegean sea! 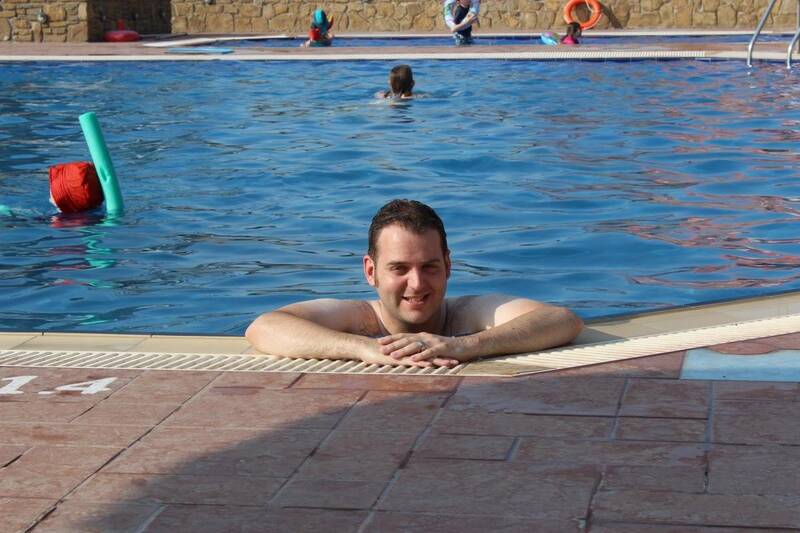 Once everyone on the dive was in, it was time to put into practice what we had been learning in the pool. This started with a controlled descent until we were all happily on the sea bed. One of the key skills of scuba diving is learning the neutral buoyancy point at which you will just stay at any given depth without trying. This is mainly a combination of how much air is in your Buoyancy Control Device, your own natural ability to float and the density of the sea. I had trouble with this at first as I was trying not to panic at being 4 meters under water and wearing a load of strange gear that was keeping me alive! Once I remembered to keep breathing naturally and that help was only seconds away, I relaxed and started to ‘get it’. During the first dive, we practiced emergency recovery techniques that we had covered in the pool. These included flooding our mask and then clearing it without taking it off, taking the mask off completely before putting it back on and even a simulation of a loss of air where we had to signal our ‘buddy’ and use their backup supply! This was all great fun and we got to have a tour of the reef before it was time to resurface and have a debrief on he boat. We were underwater for around 45 minutes and with the choppy boat ride back, it was all very tiring! The next day we again went out to the same reef and covered even more skills that were, up until that point, only practiced in the pool. We did some underwater navigation with old fashioned compasses, learned more about wrist mounted dive computers and then some advanced emergency surfacing techniques from different depths. We then got to explore the reef – safe in the knowledge that we would be able to handle any emergency that might come up and that we were well equipped for the task. We saw star fish, an octopus and thousands of brightly coloured fish all in their natural habitats. It was all so very peaceful underwater and the only thing to focus on was to breathe normally and have fun. I must admit, it was quite strange at first to look up at the surface of the water and then to look at the dive computer and see that I was fifteen meters UNDER the surface. It certainly didn’t look like it was that far to the ‘top’ at the same time it felt like it was an entire world away. I have always been a confident ‘surface swimmer’ and without being too big headed, to say that I took to the underwater world like a fish, feels like an understatement. My instructor, Jay, with whom I had more or less one to one tuition throughout, said I was a natural and he couldn’t believe that I hadn’t had any underwater training before. He even said that after our first ocean dive, and with confidence with the equipment in the pool beforehand, he thought I was an undercover PADI inspector doing a spot check! I was extremely flattered by this and had to prove to him what my ‘day job’ was at home! This gave me an added confidence boost and made me more determined to finish the course and gain my ‘Open Water Diver’ qualification. Which I did. 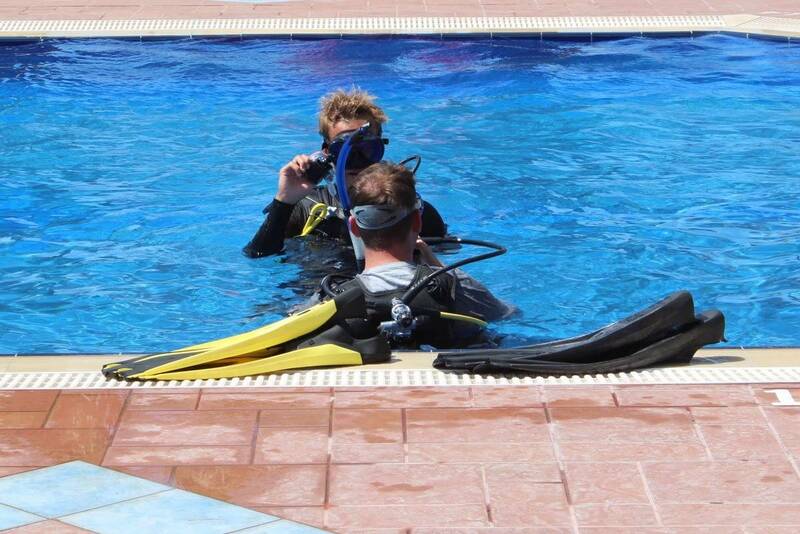 The dive team at Mark Warner Lemnos resort were all from a UK based dive company, ‘InDepth‘ based in Hertfordshire and they are all qualified to international standards and vetted to the same standard as the rest of the Mark Warner team. This gave me extra peace of mind that there was a UK company to fall back on should there have been any incidents but I needn’t have worried about this at all. Wow, well done to him! I’d love to do this. I’ve dived in Greece and in the Great Barrier Reef in Australia but I’ve only done accompanied dives because I’m not qualified. I’d definitely take the opportunity too if we went somewhere that I could do it.